Home@36 or Home at 36 Condotel one of the hotels set up in the hustle and bustle of Kuta, Bali. Home@36 Condotel is strategically situated on city center and very close to Discovery Shopping Mall, Tuban Beach, and Kuta Beach, and other fascinating attractions. Besides that, Benora Square, Art Market, and Waterbom Park are all near. From Ngurah Rai International Airport, this hotel will only need less than 10 minutes to be reached. Home@36 Condotel is a quality budget hotel with nicely decorated rooms and lobbies. Like its unique name, this hotel also offers unique experience in staying in Bali. The rooms are designed purposively with fresh and bright accents giving you a new spirit to venture this paradise island. There are 69 rooms ranging from standard, superior, to family room fully equipped with air conditioner, in-room safes, coffee/tea makers, high-speed Wi-Fi internet access, plasma televisions with free movie channels, and so forth. The bathrooms provide showers, bidets, and slippers. There is also refrigerator and complimentary bottled water replaced every day in every room. Dining options at Home@36 Condotel include a restaurant and a poolside bar. Daily complimentary breakfast is always available during your stay. Wireless internet access is also available in public areas. Besides hotel accommodation, this hotel also provide famous fashion brand stores, spacious parking area, franchise Coffee Shop, and famous name for Culinary Outlets. There is a also a 24-hour business center on site. Additional amenities include an outdoor pool, concierge services, and a hair salon. 3.) just a place to sleep for 5 hours at night…. 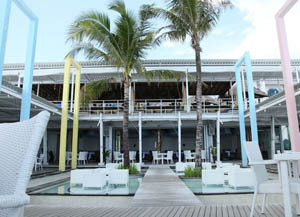 – Location I would say is really nice, on the beach.. but towards a corner not infront of Kuta beach…!! and also resorts infront of kuta beach are across the road. – Staff is very very nice, ever smiling , very polite and courteous,,ever smiling, always greeting, very organized, easy to communicate, helpful, they make you fee;l very warm and cozy… !! – buffet breakfast with amazing view of the beach..!!! – WAshroom has water draining issues… not like really bad but after shower water moves out slowly… otherwise shower is good and washroom clean..!! In short, I am happy with my choice, a budget hotel on the beach ,,,nice beach facing restaurant,,,, friendly staff, i did not face any problem as such just that the room got stuffy at night but we were so tired that it was only sleep and nothing reallly affect us. With the kind of money its a good deal any day …!!!! Room Tip : Choose room with proper ventilation (if the need be)… otherwise i think if you are just coming to sleep by the night ..especially for youngsters…. i say “go for it”…!!!! Its right inside Discovery Mall…!!!! The accommodation is cheap so expect some cut corners. The beds were comfortable, however expect marks and stains on the walls, floors and fixtures. This place is very noisy and all the hallways echo. Wifi is only in the lobby and breakfast is extra. However despite these things the shower is nice, the location wonderful and the staff friendly.